WeddingsLet us plan your dream wedding in Greece! Have you always dreamt of a magical wedding in Greece? Your wish is our command! Our professional team of experts will help you plan and organize the wedding of your dreams. Greece is the perfect wedding destination, and why is that? Its spectacular weather all year round, the breathtaking scenery throughout the country and its reputation of being a bucket list destination, are just a few reasons why you should consider getting married in Greece. As exciting as this may sound, great weddings require hard work, this is why choosing the right wedding planner is the first and most important step to guaranteeing a perfect wedding day. As locally based wedding planners in Greece we know everything about the laws concerning weddings, the local customs and the expenses involved. For couples who are planning a destination wedding that requires travelling, having a local expert available to guide you through the legal process can be the best investment when planning your big day. Planning a wedding in your own country is already stressful enough, so imagine what it takes to organize a wedding in a foreign country. This is where local expertise and knowledge of the market comes in handy. Let us take care of the details, and all you have to do is say…”I Do”. Apart from the legal aspects we will guide you through managing your budget, selecting the destination, venue, vendors and taking care of all the little details so that you are left to enjoy the best day of your life. Planning dream weddings is our passion and we strive to be the best at what we do and ensure that every wedding is exceptional. We work closely with our clients to ensure that the wedding is personal, and truly reflects who you are as individuals and as a couple. Our goal is to plan a wedding that you, your friends and family will talk about for years to come. Make your Special Day even more special by travelling to or from your wedding in your very own personal helicopter. A helicopter flight will add a touch of glamour and excitement to your Big Day. Our team will work with you to arrange your unforgettable entrance, exit or even both. We will also arrange your flight schedule to ensure that your photographer and videographer will have plenty of time to capture this spectacular moment. You may also want to make your day even more memorable and take a sightseeing tour to catch the sunset in Santorini, or whisk your bride away to enjoy a bird’s eye view of the top jet-set destination — Mykonos! 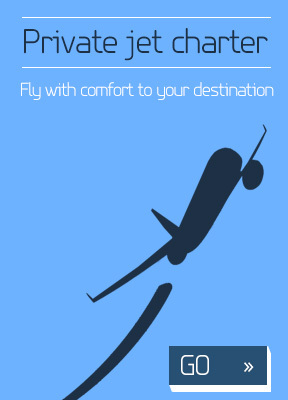 We will be happy to fly you, wherever you want to go. And if you are honeymooning in Greece, we will personally take you to the entrance of your honeymoon suite or villa. To make your flight even more enjoyable we can arrange for special items such as champagne, gifts and flowers to be placed in the helicopter ready for your arrival. All you have to do is ask, and we will deliver! There is no wedding without your family and friends so if you are arranging a Big Fat Greek Wedding, how about chartering a private flight to fly your loved ones in style to your selected wedding destination. Celebrations can start early on-board your private jet!